Some buzz of late has surrounded “social news network” site Rappler in light of “explosive” revelations issued by blogger Thinking Pinoy in his analysis of financial statements “leaked” to him by pals from the Philippines’ Securities and Exchange Commission (SEC). The main aspects of Rey Joseph Nieto’s a.k.a. Thinking Pinoy‘s analysis of these documents that attracted the most attention and spawned the most chatter was the millions of pesos in losses Rappler has been incurring over the last several years since its launch in 2012 and the foreigners who own substantial shares of its parent company Rappler Holdings. Those two pieces of insight are not exactly breaking news. Speculation surrounding Rappler‘s owners and its shady business objectives had already long ago been explored by Manila Times columnist Bobi Tiglao in his two-part series of articles Why does Maria hate Mocha? and Media firm Rappler scorns Constitution by getting foreign money. Though not credited by Nieto in his Thinking Pinoy piece, Tiglao had, back in October 2016 when those pieces were published, already clearly articulated the fishiness of Rappler’s existence and highlighted the hypocrisy that emanates from the stark disjoint between what it claims to be its journalistic “values” and the reality of the core of its own business model and shareholding structure. 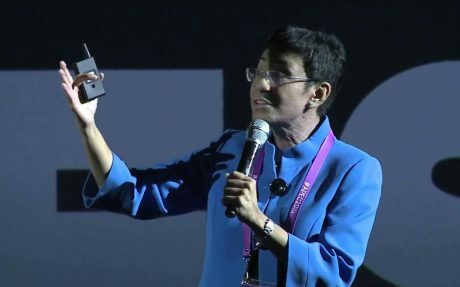 As to the way Rappler has been stuck in a multi-million peso cash hemorrhage since 2012, it does not take much to infer that from readily-available information and day-to-day observation of the activities its CEO, Maria Ressa, and her staff of hipster “journalists” engage in. For the most part of the years it had been online, Rappler did not display banner ads nor solicit subscriptions to premium content behind a “paywall” the way other mainstream news sites like the New York Times have been struggling to mount. It does not operate a bricks-and-mortar business presence that sells tangible products in the same way sales of traditional newspapers remain the bread-and-butter of Inquirer.net‘s business. Yet, it spends real money to employ warm hipster bodies and seat them in trendy hipster offices. Then again, investors giving money to unprofitable tech companies has long been the norm. Take Snap, for example. The parent company of popular chat app Snapchat is the latest buzz in Silicon Valley reportedly filing for an Initial Public Offering (IPO) in which it plans to raise $3 billion. If this goal is achieved, Snap would be valued overall at up to 20 billion dollars. Not bad considering its founder Evan Spiegel once “stared down” Facebook founder and CEO Mark Zuckerberg’s offer to take it over for $3 billion. Snap has never turned a profit since beginning commercial operations in 2011. As of December 31, it had an accumulated deficit of $1.2 billion. The company warns it expects future operating losses, and “may never achieve or maintain profitability.” To sum up: it’s never made any money and maybe never will. Indeed, Snap employs more than 1,800 employees and is forecast to increase that number to sustain its growth. The metric most often quoted as its key asset is its user base and not much else. A quick search through various business and technology news sites yields very little insight into what exactly justifies its 20 billion dollar “value”. Ever wonder what Rappler’s “mood” charts are for? A source alleged that Rappler has been selling this “big-data,” the links between news stories and reported moves, to US firms. Though largely discredited now, the idea that “big data” could be used to predict the future — and win elections — was all the rage in the early- to mid-2010s. This blimp of a notion, likely peddled by “big data consultants” in shiny suits to “business-intelligence”-hungry corporations and, later, hapless clients in politics crashed in a fiery blaze following the historic loss of Hillary Clinton to Donald Trump in 2016. In that fiery blaze the credibility of the industry and the “analysis” of big-ticket mainstream media turned toast. The real story behind Rappler’s funding and the mystery of why anyone would invest millions in an inherently insolvent hipster “social news network” is likely to be around the same themes — the idea that Rappler could be used as a sophisticated intelligence-gathering tool for political machination masquerading as a glossy bastion of modern, ethical, next-generation “journalism”. You give Rappler way too much credit by comparing it to Snap or relating it with big data analysis. Rappler exists online but no way is it a TECHNOLOGY company like Snap. Silicon Valley investors are willing to pour money into unprofitable tech companies like Snap because they see value in the proprietary technology being developed by such companies. Rappler has nothing of the sort. Rappler is just a glorified blog. Even their pathetic mood meter is useless for big data analysis because it doesn’t even collect info from a large enough base to warrant use of the term BIG data. Analyzing emoticons on Facebook is a lot more useful than that thing. Rappler is a mouthpiece for local and foreign interest groups, that’s all that it is. It’s a business model that has existed since newspapers were invented. You invest or donate, and your agenda gets promoted (or your enemies get destroyed) under the guise of journalism. In a way, Rappler was right to put “other monetary intermediary” as their industry classification. That says it all about what their true nature of business is: they’re just a bunch of media mercenaries collecting money to spread propaganda. Since Mr. Nieto mentioned a Rappler and George Soros connection in his analysis, a little google search on Soros won’t show OTHER implications. Try a “Soros” search on NEW EASTERN OUTLOOK by W. Engdahl. Rappler is just a front for foreign political operatives , with the connivance of the Aquino Cojuangco political axis, and other Filipino political opportunists, to influence the minds of Filipino voters, to elect certain Filipino political candidates. It was like Hilary Clinton’s manipulation of the U.S. media. Fake news were there. Biased political commentators and pundits, favoring Hilary Clinton, were there. False and biased Poll surveys, were there. outraged. They are doing mischief demonstrators…they become obstructionists. Why would foreign entities, interested in investing in a biased Web Blog, like Rappler.com ? Web Blogs are supported by the blogs of people, like you and me. If the bloggers have interesting and good comments; knowledge; information and credibility. Then, Web Blog readers will read the blogs. Good writing and information attract readers. No amount of financing and fancy offices or titles, will attract good readership. Good management, good vision of the leaders, like the CEO, plays also a good part in the business ! Anyway, in this Age of Information Technology…readers can easily smell , a fake, a mile away ! So , beware investors ! There is a fundamental difference between the financial enterprise and political machinations of an organization, such as Rappler, versus a mass of independent unaffiliated believers, philosophers, and bloggers who do not support any such organization. I don’t think there is anything behind Rappler’s mood meter. Rappler and its investors just use its existence to pretend that Rappler has something different to offer which merited the interests of those foreign investors.